Reclaimed wood is the latest trend in home design that is showing no signs of slowing down. The wood type can provide a rustic look for any room and give you a variety of uses, not to mention that the option is eco-friendly. Overall, reclaimed wood is a quality choice for design elements in your home. Instead of seeing the wood from old homes, fencing and buildings taken to a landfill, the wood can be used to create flooring, shelving, furniture and many more uses. Reclaimed wood will vary in appearance because it comes from a variety of sources. The wood may have spots from nail holes, saw marks or patina from usage. The wood can easily be reshaped or refinished to have a completely different look based on the use in the home. Each piece will be unique, which makes the design choice more desirable for homeowners. Reclaimed wood products will pre-date the 1930s. Most of the wood will have been used as part of homes and buildings that are more than a century old. However, just because the wood is old does not mean it is fragile or will not function for another use. Wood that has been cared for correctly can last for another 100 years or more. As wood is reclaimed for a new use, it must be prepared. This will include removing old nails, ties, and staples from the material. The surface of the wood will be cleaned to remove dirt and debris. The wood can then be milled to create the thickness needed for the new use. 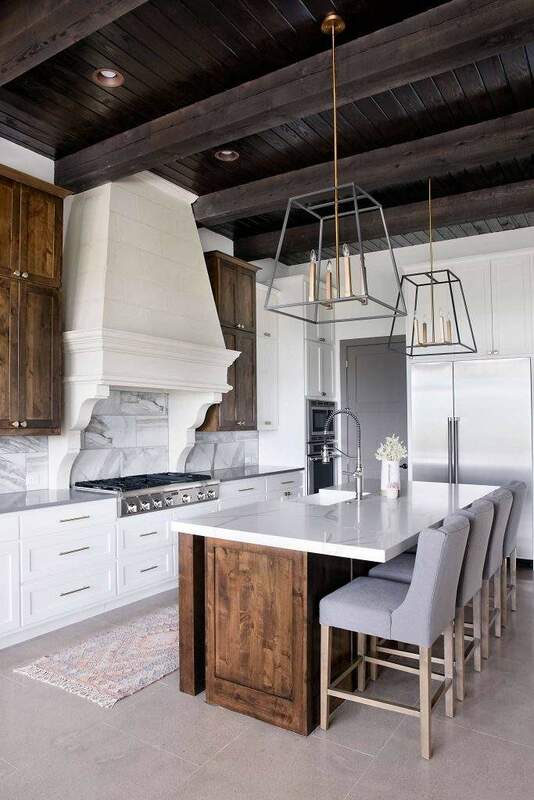 The process ends with the wood pieces being custom crafted to create a new product, which can be wood beams, cabinet doors, stair treads, shelving and more. When you have reclaimed wood pieces, the material can be used in a variety of ways. The wood is commonly used for distressed flooring, allowing homeowners to add a flooring type that provides character and interest throughout the home. Additionally, interior designers specify reclaimed wood for stair treads, ceiling details, cabinetry, fireplace mantels, art, and furniture. For an aesthetically pleasing and eco-friendly design element, rely on reclaimed wood.